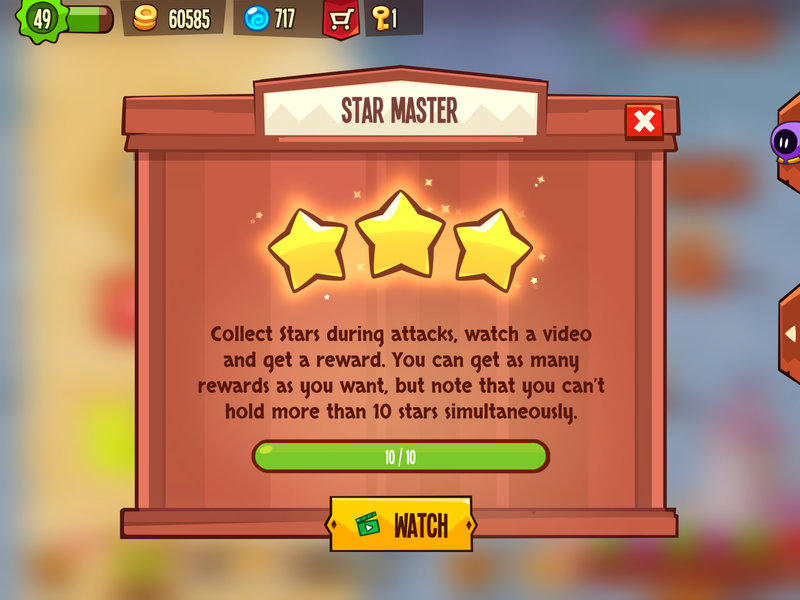 I saw that in the new update there is a new thing called “Star Mastsr” where you can exchange stars and gold for rewards. Everyone else I know has this in their game, but the little star button is not appearing for me. Any help? I can’t see that in the update log, nor know about it in-game. How about a screenshot? Possibly you’re not high levelled enough, some things are level based. Never heard of this. I play daily and am a lvl 400+ player. No idea what it even refers to. I suddenly got it on my level 21 thief. But no sign of it on my level 50+ thieves. If that's any help. Could you upload a screenshot? I’m still a little in the dark about this, but I’m interested. Not sure why this has appeared for me, but it has. Nothing substantial has changed recently. ummm. lolol. No clue. Might be a glitch where the game is accidently opening unused script through arbitrary code? Not sure what triggered it, but it’s still around for me now. You're not missing anything, the prizes aren't worth the 10 orbs required to collect them. It started out as 10 stars for me but now it only requires 7 stars... is it still 10 for some folks I see? A wild EKOLIS draweth near! What dost thou deaux? Mine’s 7, used to be 10. Well here’s atleast how it works for me (and should for you guys as well, I guess): I complete dungeons and when I’ve collected 7 stars from them (if you finish 3 dungeons, all with 3 stars, you won’t get 9 together, 7 is maximum you can hold at once) I can watch an ad (for free) and get some prizes after the ad (gold, keys, ingredients, potions). It's been working fine for me for a while now, but the past two days, I have enough stars, but still cannot watch the ad. The button is deactivated. What's wrong there? Also, I tried contacting support about this, but the url at the top of the support forum leads to a page that a) says the certificate is invalid, and if I ignore that, it returns a 404 error.